Most students live on-campus in their first year and go off-campus for year two and beyond. Wherever your student wants to go, know that students are already starting to think about next year’s housing decisions now. For students who wish to return to the residence halls, there are a number of single rooms (on Central, Hill or North), apartment-style units in Northwood (North Campus), and suite-style spaces (North Quad, Alice Lloyd, West Quad) reserved for returners. Browsing and selecting on-campus housing happens January-February, and it’s all online. Spaces for returning residents are limited, and there’s no guarantee that a particular room or rate type will be available, so it’s a good idea for your student to research all their options, both on-campus and off! Who can help your student navigate off-campus housing? Beyond the Diag can! As students explore the off-campus market, they can utilize resources that Beyond the Diag offers. Beyond the Diag is the off-campus housing program within the Dean of Students Office. 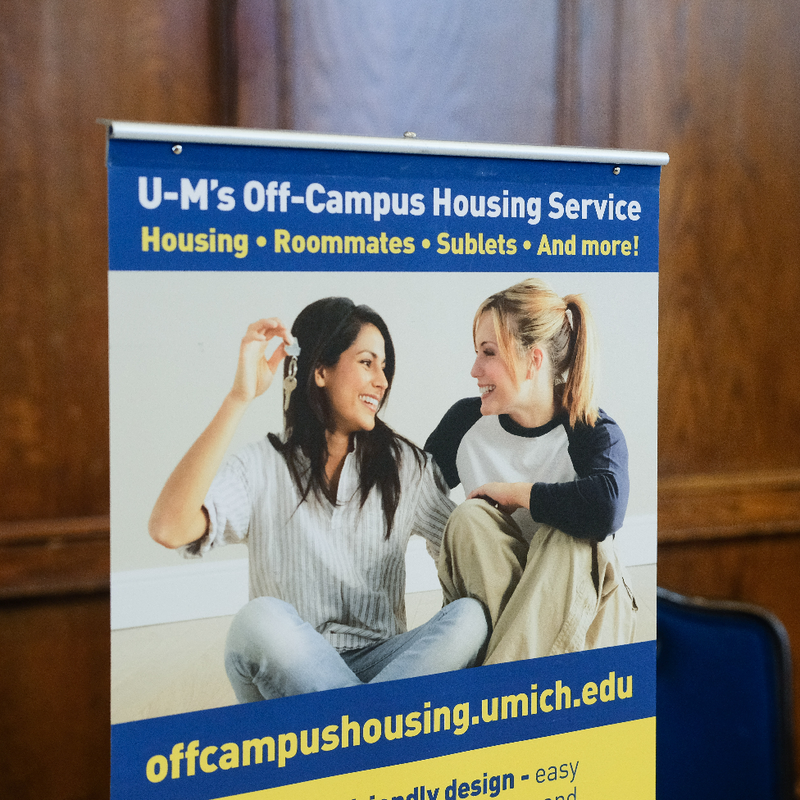 Students can use the listing service, offcampushousing.umich.edu, to search for housing and roommates. They can also visit the Dean of Students Office if they have any roommate or landlord concerns. Beyond the Diag hosts a variety of neighborhood community-building and educational events, housing fairs, and workshops. You can encourage your student to read the monthly e-newsletter from Beyond the Diag to stay connected to campus and Ann Arbor happenings. You can subscribe, too! You can also help inform your student of some lease language they may not be familiar with as first-time renters. Student Legal Services provides information about co-signing, joint and several liability, security deposits, and more. Your student can also visit Student Legal Services for free lease reviews. If you’re curious about safety concerns in the neighborhood they’re considering, visit crimemapping.com and enter the desired address for recent crime data. Although this process can feel rushed and stressful, your student has time. The Dean of Students Office helps students get connected to housing resources all year long, even in the summer!